Disney Will End Netflix Deal And Offer Its Own Streaming Services : The Two-Way There will be one streaming service for sports and another for films and television shows, the company announced on Tuesday. But new Disney movies will still be available on Netflix until 2019. The streaming services will give Disney "much greater control over our own destiny in a rapidly changing market," CEO Bob Iger told analysts on a conference call. He described the moves as an "entirely new growth strategy" for the company. The sports streaming service, which will be under the ESPN name, will be available next year, and is expected to feature 10,000 sporting events annually, among them Major League Baseball, hockey and soccer games, tennis matches and college sports through ESPN's popular mobile app. "Ultimately, we envision this will become a dynamic sports marketplace that will grow and be increasingly customizable, allowing sports fans to pick and choose content that reflects their personal interests," Iger said. 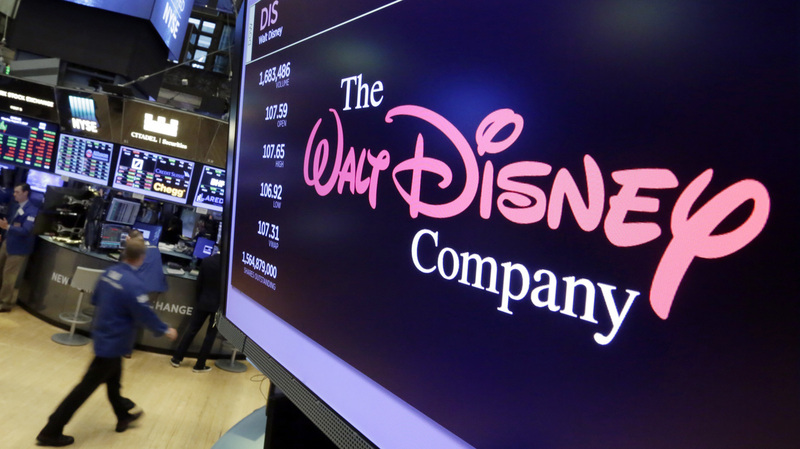 "Disney will have to be careful that it doesn't transfer too much sports programming from its TV channels to the app," analyst Brian Weiser of Pivotal Research Group told The Associated Press. "Getting the balance wrong could upset cable companies and weigh on the price they pay Disney for ESPN." "By ending the Netflix movie deal, Disney will keep movies such as Toy Story 4 and Frozen 2 for its own offering. The company has not yet decided where it will distribute films from superhero studio Marvel and Star Wars producer Lucasfilm after 2018. "Netflix, which lately has been focusing on its own exclusive programing, said it would continue to do business with Disney globally, including keeping its exclusive shows from Marvel television.
" 'U.S. Netflix members will have access to Disney films on the service through the end of 2019, including all new films that are shown theatrically through the end of 2018,' the company said in a statement." In case anyone doubts whether Disney can win the two-front battle against cord cutters and other streaming services, CEO Iger expressed the company's view to analysts. "No one is better positioned to lead the industry into this dynamic new era, and we're accelerating our strategy to be at the forefront of this transformation."